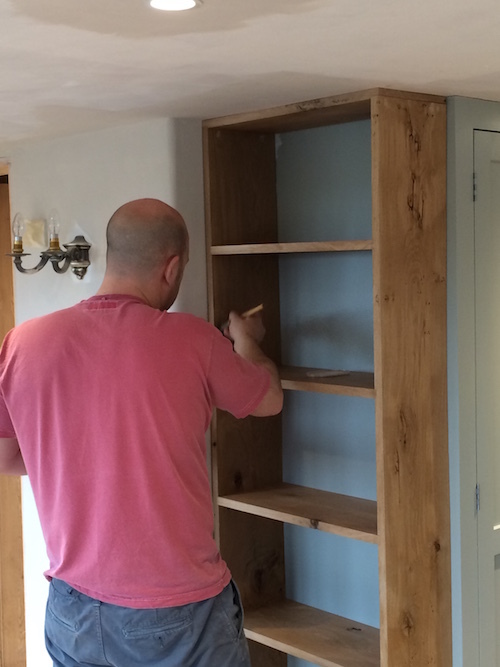 Nick & Annabelle wanted somewhere to keep their recipe books in their new kitchen and our solid oak boards were perfect for a bespoke bookcase. Nick made the shelves from 4 boards cutting slots into the uprights to support the shelves. Very simple and attractive. 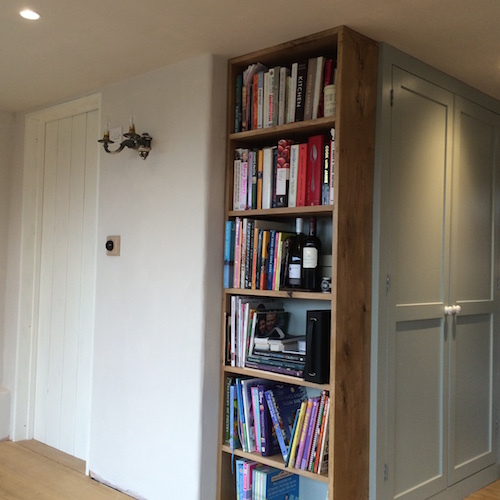 The oak sits beautifully against the Farrow & Ball ‘Light Blue’ Estate Eggshell of the cupboards and ‘Skimming Stone’ Estate Emulsion of the walls and ceiling.